Eco Fern Lokta Paper Journal by Kathmandu Valley Co. | Kathmandu Valley Co. 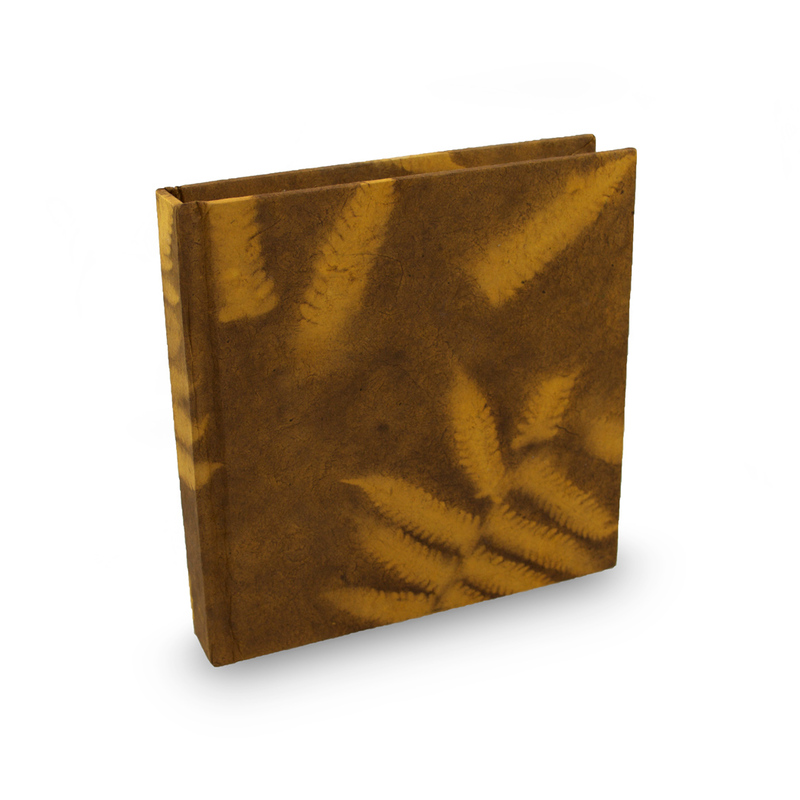 The Eight Rivers Eco Fern Leaf Journal (Goldenrod) with lokta paper is a unique, hand crafted work of art. The journal pages are not made from tree sources but from the lokta bush which grow on the southern slopes of the Nepali Himalayas between 5,250 and 13,000 feet above sea level. When properly cut, lokta bushes can produce three to eight new, fast-growing shoots making lokta paper one of the most sought after non-tree papers. It is widely regarded as one of the world’s finest hand-made papers.